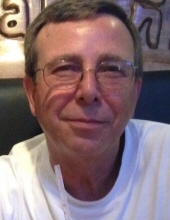 Mr. John Harry Clements, 62, passed away on Friday, February 8, 2019 at his daughter’s home. The family will receive friends Saturday from 2-4 PM at Wilkerson Funeral Home. 25 years, he was employed with Hyster-Yale. He was a beloved husband and father. He will be greatly missed by all who knew him. He is survived by his wife of 35 years, Virginia Gray Clements; and daughter, Jennifer Heather Clements. To send flowers or a remembrance gift to the family of John Harry Clements, please visit our Tribute Store. "Email Address" would like to share the life celebration of John Harry Clements. Click on the "link" to go to share a favorite memory or leave a condolence message for the family.